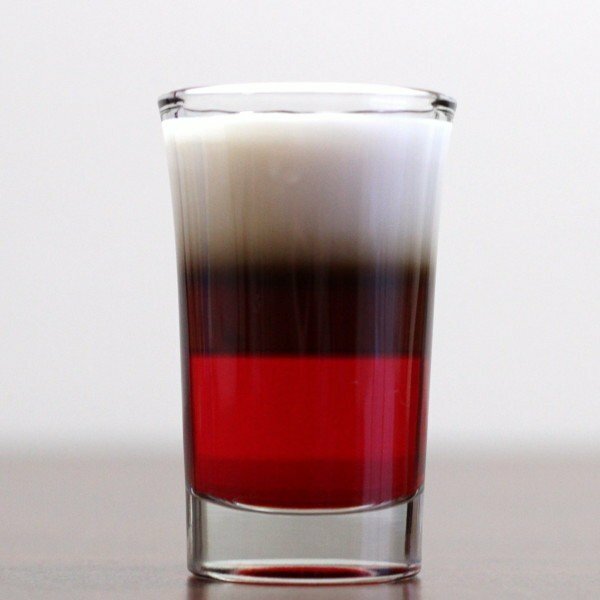 The German Cherry Bomb is a layered shooter, so see our guide on how to layer a cocktail with nothing more than a spoon and some patience. This drink actually doesn’t involve any cherry ingredients – the grenadine passes for that flavor. The cream cuts down a little on the sweetness. 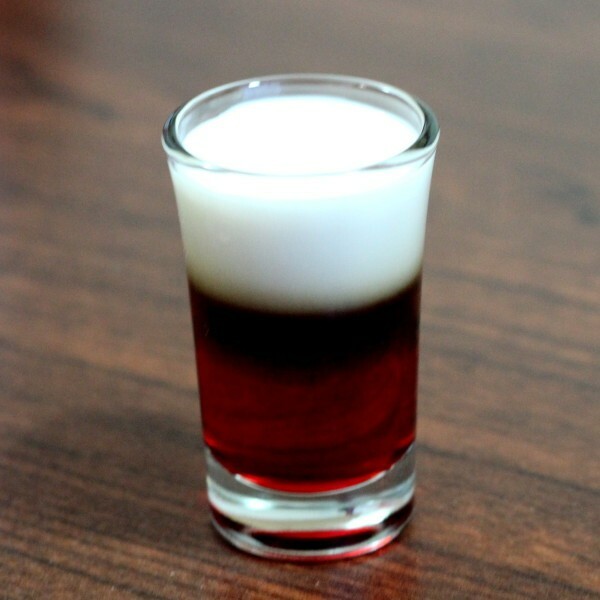 And of course, you’re only talking half an ounce of alcohol – liqueur, specifically, so this is a pretty weak little drink. Which makes shooting these rather fun! Layering cocktails is not as hard as you think – scroll down to watch my quick video on how to to it. One additional tip to make it easier: use pourers on your bottles to make them pour more smoothly when they’re full. See how easy it is to layer cocktails! Pour the grenadine first. Carefully layer the Godiva on top of it. Finish with a layer of cream.